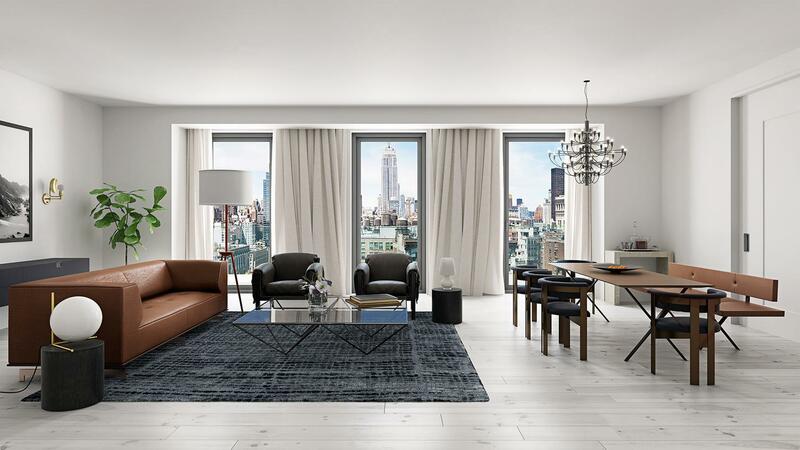 Toll Brothers City Living and Morris Adjmi Architects aim to bring what they consider a rarity with 55 West 17th — a high-rise condominium that retains a sense of intimacy. The building’s design was inspired by the context and heritage of its Chelsea neighborhood in Manhattan. This month Toll Brothers is shining a spotlight on the four-bedroom, four-and-a-half bath duplex at 55 West 17th. It offers over 4,200 square feet of elegant living space and two private terraces — one right off its great room — providing both northern and southern views of Manhattan. Two walk-in closets in the master bedroom provide plenty of storage, and the duplex even has a windowed office. 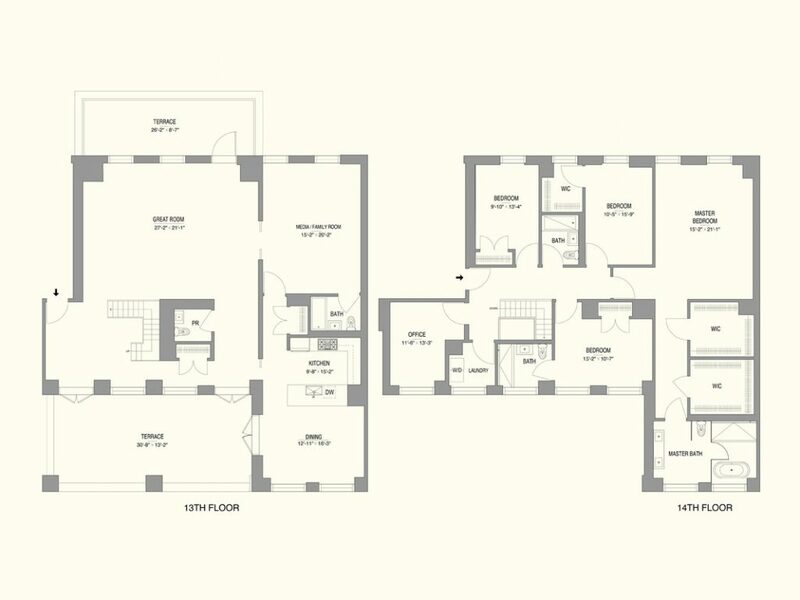 Residences at 55 West 17th range in size from 788 square feet to 2,184 square feet, with one to four bedrooms. And every one of 55 West 17th’s 53 residences is designed to maximize light with oversized windows and are ready to entertain company with open floor plans. Residents can shoot a game of pool on the billiards table or enjoy a drink at the wet bar in a private screening room at the resident’s lounge. 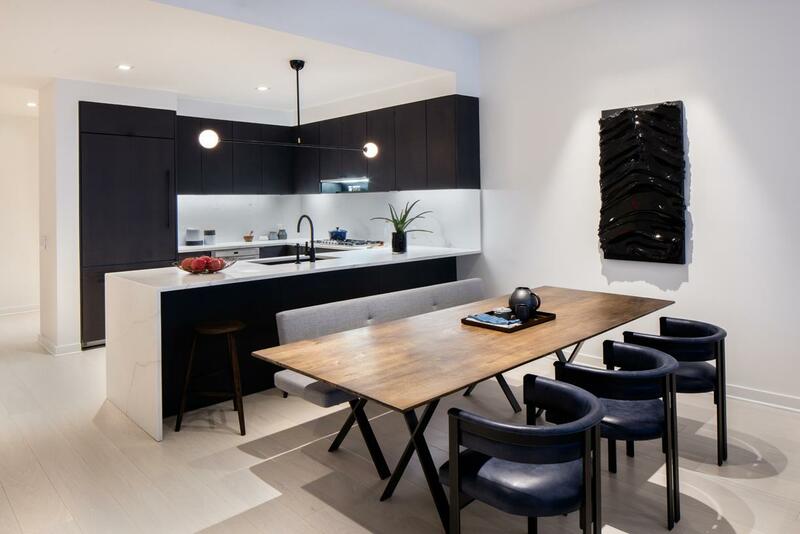 55 West 17th’s exquisite kitchen design features include black oak custom cabinets, Bianco Oro marble countertops and backsplash and a full suite of Gaggenau appliances. A wine fridge adds the perfect extra luxurious touch in the kitchen. Master bedrooms at 55 West 17th feature striking dark, warm woods and bright marble surfaces. And relaxation awaits in the spa-like bathrooms, featuring black oak custom cabinets, Carrara marble-clad vanities and stand-up showers, Kohler sinks and Dornbracht fixtures. 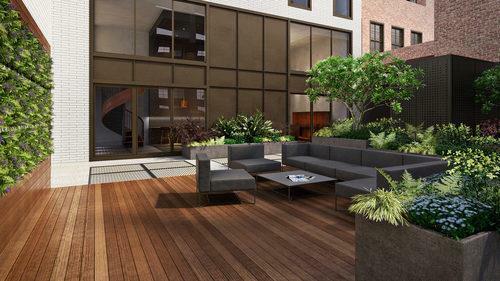 55 West 17th also boasts an outdoor terrace for all residents to enjoy, complete with a separate grilling area, offering spectacular views of Chelsea, as well as a children’s play room for play dates. Health conscious residents will find plenty of free weights and cardio equipment in 55 West 17th’s fitness center. Prices begin at $1.8 million for one bedroom residences, while the four bedroom duplex is priced at $11.5 million. 55 West 17th is currently under construction and expected to deliver in 2017.